For policymakers charged with investment portfolios, the challenge is not simply about attracting greater flows of foreign direct investment (FDI). At least as important is trying to maximize the domestic economic and social benefits that result from those investments. This can be achieved with tax policies or targeted recruitment of specific investments with promising potential spillovers. It can also be achieved by using performance requirements—a class of tools that is widely used, often illegal, and only recently redeemed after years of pariah status under the Washington Consensus. This article reviews some of the most commonly used performance requirements, briefly surveying what we know about their effectiveness. It finishes by noting that many of the tools that have been (sometimes) effectively used are prohibited under international investment law. What are performance requirements, and can they be effective? Requirements to contribute to macroeconomic balance. Each of these involves different sorts of policy tools. What follows is a brief summary of those tools, and an assessment of their strengths and weaknesses in different circumstances. Requirements that aim to strengthen domestic capacity in the regulated sector include technology transfer requirements, requirements to perform research and development (R&D) domestically, and joint venture requirements. Technology transfer requirements mandate that the investor bring some specified level of technology (usually proprietary) to the host country, with the aim that investments operate at a global industry standard, or with best available technology. This type of requirement is featured, for example, in Nigeria’s Local Content Policy, which required oil and gas sector firms to submit an annual technology transfer plan (Nwaokoro, 2011). UNCTAD (2003) surveys the few instances of this type of requirement, and finds little evidence of its success. It argues that this should not be surprising; there are major challenges in monitoring such requirements and, more fundamentally, it is challenging for governments to identify what technologies particular firms in particular sectors and countries should be using in the first place. Host governments may also require that R&D be carried out at some particular level, often specified as a percentage of operating costs. 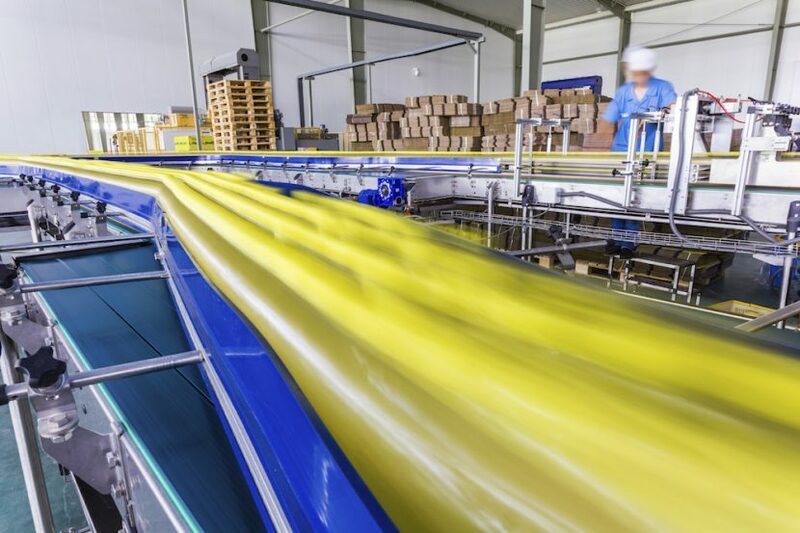 Like technology transfer requirements, these are most often used in the manufacturing sector, where they are usually formulated as voluntary performance requirements—conditions for receiving fiscal support. Mandatory applications of this sort of requirement are quite rare. And voluntary requirements tend to be ignored; the problem is that setting up an effective local R&D facility is particularly challenging in the absence of local capacity to absorb, adapt and develop the technology, and the costs of doing so often exceed the government incentives on offer (UNCTAD, 2003). To be successful, any such requirements need to be accompanied by national efforts at establishing working national systems of innovation, including support for education and training. Joint venture requirements mandate that a foreign investor in a particular sector operate as an equity joint venture with some local partner. In practice, they are usually expressed as a demand that any investment have a certain percentage of domestic ownership. Prior to 1990, countries like India and Nigeria prohibited majority ownership of any investment by a foreign company (Miller, Glen, Jasperson, & Karmokolias, 1996). These requirements are most often aimed at building competitive capacity in domestic partners who, it is hoped, will be exposed to modern technologies, improved management practices, and global marketing channels and experience. China used these sorts of requirements heavily in its drive to foster globally competitive national champions in the manufacturing and heavy industries sectors, starting as early as the late 1970s (Pearson, 1991), but most prominently in the 1980s and 1990s. Joint venture requirements are not easy tools to use effectively. First, they are not well received by investors. Joint ventures are ideally a union of entities with shared objectives and complementary strengths, but mandatory joint ventures in countries with under-developed partners will usually bring neither of these prerequisites for the foreign firm. Moreover, there is a basic element of mistrust in a forced arrangement, particularly with respect to the appropriation of technology. Moran (2002, cited in United Nations Conference on Trade and Development [UNCTAD], 2003, p. 27) finds that technology employed in mandatory joint ventures is on average 3 to 10 years out of date, and technical training provided to local affiliate staff is a fraction of that provided in wholly-owned subsidiaries. These unique characteristics of mandatory joint ventures may make them more prone to failure; citing a 1992 study by the Nigerian–British Chamber of Commerce, Baoteng and Glaister (2003) note that, of some 50 agricultural joint ventures set up in Nigeria in the mid-eighties, only 10 were still viable as of 1990. The examples of China, Korea and others, however, show that joint venture requirements can be effectively employed. In the end, host countries need to delicately balance the benefits derived (both economic and non-economic) against the potential to deter foreign direct FDI. Only countries in a position of strength vis-à-vis the investor should contemplate the use of these policies. Requirements that aim to build backward or forward linkages from a regulated sector include requirements for local/domestic procurement of input goods and services, and requirements that a sector’s products be processed in country. The main objective of these sorts of measures is to move away from enclave operations that contribute very little outside of expenditures on core functions, import most inputs, technology and experts needed in the course of operation, employ few locals, and export largely unprocessed materials. Local procurement requirements, which foster backward linkages into the economy, can be successful given the right circumstances and accompanying policies (UNCTAD, 2003; Sutton, 2005 [cited in Rodrik, 2006]). Brazil’s national agency for oil and gas and biofuels (ANP) uses local content as one of its three criteria for awarding petroleum rights, and has seen commitments to local content increase from 25 per cent in the year the program started to almost 80 per cent a decade later (Sigam & Garcia, 2012). Part of its success stems from the leadership demonstrated by Petrobras, the national oil champion, in fostering backward linkages in the sector. Credit also goes to Brazil’s long-standing drive for localization, its attention to the lessons of history, and a broad mix of policies of which performance requirements are only one part. Those lessons include, first, that quotas should not be set higher than local suppliers are able to meet, though they should be set high enough to push suppliers to greater efficiencies. Some have argued, for example, that Nigeria’s draft Oil and Gas Industry Content Development Act was over-ambitious in its targets for local content, envisioning an increase from 2 per cent in 2009 to 35.5 per cent in 2010 and to 70 per cent by 2013 (Morris, Kaplinski, & Kaplan, 2012). In other words, it is important to push suppliers, but not to push them to jump across a gulf they cannot span. The most important lesson may be that local procurement requirements by themselves are not enough; support from both the government and the firms involved (in the form of supplier development programs, for example) is critical in helping build up the capacity to meet ambitious quotas. As well as capacity building, government support for lending to potential suppliers can also be effective; most are small and medium enterprises whose access to finance is difficult at best. Requirements for regulated firms to improve social outcomes include requirements for a specified level of local employment (or management), and requirements to train local employees or build capacity in suppliers. As in the case of local procurement requirements, the key with local employment and management requirements is to help ensure that there is in fact adequate quality local supply to fill the needs. In many countries the labour force skills do not match well with the needs of investors, who are forced to hire from abroad, especially at senior levels (Morris et al., 2012; Peek & Gantès, 2008). Implementing a demand for local hiring without addressing this problem—through consultation with the firms involved to gauge their needs, and appropriate investment in education and specialized training—greatly increases inefficiencies and costs in the regulated firms. As a positive example, since the 1990s Brazil has set aside a percentage of oil sector royalties for the Oil and Gas Sectoral Fund, which supports, among other things, specialized learning at existing institutions. It has provided over 5,000 post-graduate scholarships since 1999 for professionals destined for the oil, gas and biofuels sectors (Korinek, 2013). Requirements for training of local employees are widely used. Countries such as South Africa and Malaysia have established skills development funds into which businesses must pay, and these have been relatively successful at improving employee skills (UNCTAD, 2003, p. 31). Often, such training is done as a quasi-voluntary effort by the firms involved in response to requirements for localization of the labour force to overcome the critical problem of lack of appropriate skills. Requirements to build capacity in suppliers are less common. They seek to develop what Porter and Kramer (2011) call “shared value,” where the supplier firms are supported to become more globally competitive, and the regulated firm benefits from higher quality locally sourced inputs (often better adapted to local conditions than what might be available internationally). BHP Billiton’s Cluster Programme in Chile, for example, involves BHPB identifying a number of key operational challenges that it needs solved, identifying candidate domestic firms to set to the task of solving problems, and enabling them to work innovatively on solutions. Such programs may be most appropriate for countries that already have fairly advanced suppliers (Barnett & Bell, 2011). Programs focusing more on basic quality control training are more widely used. These are most effectively cast as collaborative efforts by firms, government and suppliers; a forced mandate to undertake training, without parallel supporting policies for suppliers, may produce reluctant efforts and unimpressive results. Requirements to contribute to macroeconomic balance come in several types, usually focused on ensuring that firms are not exerting undue pressure on the balance of payments by importing more than they export. These are of a somewhat different character than the requirements discussed above, and are not assessed here. “ … those which are mandatory or enforceable under domestic law or under administrative rulings, or compliance with which is necessary to obtain an advantage, and which require the purchase or use by an enterprise of products of domestic origin or from any domestic source, whether specified in terms of particular products, in terms of volume or value of products, or in terms of a proportion of volume or value of its local production; …” (Paragraph 1(a), Annex, TRIMs – emphasis added). In other words, the TRIMs Agreement prohibits any local content requirements (it also prohibits most requirements aimed at macroeconomic balance). While this is a fairly narrow discipline, it is also powerful, since local content requirements may be the most popular of all performance requirements. As well, it has force by dint of the broad membership of the WTO, currently at 160 members. While local content requirements are a widespread policy tool, there have only been two WTO challenges that involved them. This may be because states are reluctant to challenge tools that they themselves are using. Or it may be that the oft-invoked threat of WTO challenge is enough to forestall or alter legislation that really matters to affected states. Performance requirements are also addressed in a number of international investment agreements (IIAs): bilateral investment treaties and investment chapters in free trade agreements (FTAs). The North American Free Trade Agreement (NAFTA) was one of the first IIAs to address performance requirements; it essentially contains the TRIMs disciplines as well as a prohibition on technology transfer requirements (Article 1106). Post-NAFTA, a number of countries in the Organisation for Economic Co-operation and Development (OECD) have signed agreements with provisions on performance requirements, with varying degrees of stricture. The 2011 European Union–Colombia–Peru FTA does not address performance requirements at all. A leaked 2012 draft of the investment chapter in the Trans-Pacific Partnership contained the same NAFTA-style prohibitions, and was careful to add (in non-bracketed text) that parties were still free to condition advantages on requirements that investors “locate production, supply a service, train or employ workers, construct or expand particular facilities, or carry out research and development” in country. The 2012 ASEAN Comprehensive Investment Agreement incorporates the TRIMs obligations by reference, and commits to assessing whether more obligations are desirable. Most agreements between developing countries do not address performance requirements. The 2014 Canada–European Union Comprehensive Economic and Trade Agreement (CETA), in its investment chapter, contains the NAFTA prohibitions, and goes further to ban joint venture requirements and quotas for domestic employment. While IIAs may vary in their direct treatment of performance requirements, pretty much all contain obligations on national treatment, guaranteeing treatment for foreign investors no worse than that granted in like circumstances to domestic ones. This means that, if performance requirements are imposed only on foreign investments and investors, they would violate obligations. In any case, from an effectiveness perspective there is no compelling argument to regulate only foreign firms when imposing performance requirements. What are the implications of these legal restrictions? At the outset, it is important to note that most of them cover only a limited range of the broad spectrum of available performance requirements that governments might want to use. Only rarely do they go beyond what is stipulated in the TRIMs Agreement, to which almost all countries are party. That said, the recent trends as exemplified in the CETA show a definite movement toward more restrictive limits on the use of performance requirements. Moreover, even incorporating TRIMs by reference in IIAs can have a legal impact: it can make those obligations subject to investor–state dispute settlement as opposed to just the WTO’s state–state process (Nikièma, 2014). CETA’s restrictions on joint venture requirements may be particularly problematic given that such requirements have been shown to be effective in the past. There are, of course, many more instances of ineffective requirements of this type. However, the fact that they have even mixed success would seem to argue against limiting their use. Restrictions on technology transfer, in which CETA follows a growing trend, may be less of a concern, given the fundamental difficulties that challenge the successful use of such policies. The most widespread limitation on the use of performance requirements is on requirements for local content; its inclusion in the TRIMs Agreement makes it more or less universal. Here the good news is that this is only one of many policies that might be employed, leaving a wide range of tools available to policy makers. The bad news is that this is one of the most popular measures available, and properly so, since it does have potential for success if it is correctly used. As with any performance requirements, local content requirements have a mixed record of success, with more negative than positive results. But as noted above, the possibility of failure does not seem to be a strong rationale for prohibition. Best practice guidance, or law based on what we know about best practice (for example, mandated sunset clauses) would seem to be better options. There are good reasons for the widespread use of performance requirements, even in situations where the implementing country is legally obliged to shun them. For one thing, all states are looking for ways to have investment contribute more pervasively to their economic development. For another thing, even though performance requirements are hard to get right, they sometimes work. Two conclusions stem from those widely understood realities. First, investment policy-makers need more guidance on the successful employment of these tools. Second, either the law or the practice should change (taking into account the evidence on effectiveness, among other things). As it stands now, the international community has agreed to ban tools that everyone continues to use. Aaron Cosbey is a Senior Associate at the International Institute for Sustainable Development. He manages IISD’s program of work on trade, investment and climate change. Baoteng, A., & Glaister, K. W. (2003). Strategic motives for international joint venture formation in Ghana. Management International Review, 43(2), 107–128. Moran, T. (2002). The relationship between trade, foreign direct investment, and development: New evidence, strategy, and tactics under the Doha Development Agenda negotiations (Paper prepared for ADB’s Study on Regional Integration and Trade: emerging policy issues for selected developing member countries). Nwaokoro, J. N. E. (2011). Nigeria’s National Content Bill: The hype, the hope and the reality. Journal of African Law, 55, 128–155. Pearson, M. (1991). Joint ventures in the People’s Republic of China. Princeton: Princeton University Press. Peek, P., & Gantès, P. (2008). Skills shortages and local content in the Sub-Saharan African oil and gas industry: How to close the gap. Centre de recherches enterprises et societies (CRES). Porter, M. E., & Kramer, M. R. (2011). Creating Shared Value, Harvard Business Review, January-February.